extremely moving, brought tears to my eyes and loved the ending where Noi Na was accepted by the other animals in the sanctuary. A compelling story that shines a light on the horrors of the elephant tourist trade in Asia. It's an uplifting movie with a happy ending and an important message. Do not support circuses, zoos, elephant painting and elephant riding because of the cruelty these gentle endure simply for our entertainment. 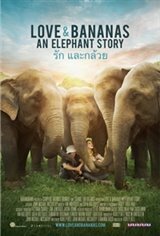 World renowned elephant rescuer Lek Chailert's incredible work is highlighted in this film. This is a must see movie! motivating and inspirational! Lek is a hero!